1. Not everyone needs it. 2. Those who most need it are often least able to afford it. 3. It is not a good investment. Let’s take a deeper look at each point. 1. Not everyone needs life insurance. You probably don’t if you are single, financially independent, don’t have large debts, or own property or a business that will be liquidated upon your death. A. Parents with young children. Before the kids are born young couples, who typically are both employed, may not really need life insurance. However, when the first child comes along it’s imperative that there is enough insurance to raise each child to financial self-sufficiency. B. Business owners with large debts, key employees, or partners. 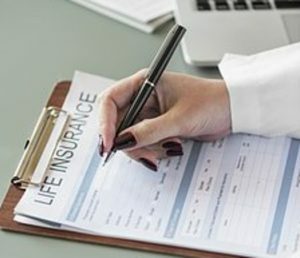 Without life insurance to pay off business debts, an owner’s heirs might struggle to keep a company going or be forced to sell it. Companies often insure the lives of key employees whose loss would severely affect the business. Life insurance is also routinely used to fund “buy/sell” agreements which specify that the estate of the deceased will sell and the surviving partner(s) will buy the decedent’s interest in the company. This is especially important for a minority partner who could not afford to buy the shares of a deceased majority owner. C. Employed spouses close to retirement who haven’t fully funded their retirement plans. This is one that is commonly missed. If a surviving spouse depends upon several more years of retirement plan contributions from a partner’s salary in order to fund an adequate retirement, life insurance could make up the difference. D. People with large estates (over about $11 million per individual) in assets that can’t be easily liquidated. This need is rare, but we do see it occasionally. It may apply to farms or ranches where nearly 100% of the value of the estate is in land or a closely held business. In order for someone to pass the land or business on to heirs, it is important to have enough life insurance to cover estate taxes. 2. Those who most need insurance but can least afford it are often young couples with young children. Typically these are the years when couples struggle to make ends meet with the demands of student loans, house payments, and the costs of a growing family. The good news is that term insurance is usually very inexpensive. 3. Life insurance is not a good investment. In my 35-plus years of doing financial planning I have never, not once, seen anyone fully or partially retire on a life insurance investment. One reason why is that a significant portion of the premiums in the early years of the policy go to paying out commissions. The loss is really never made up, and it takes years just to get back to even. This fact is cleverly hidden in the sales materials that lead you to believe you will never lose a dime, receive guaranteed returns, and get a tax-free income for life. These claims are true, but they are not the whole story. When making decisions about life insurance, remember that it is not meant as a source of income, but as a means to replace income or to pay taxes or debts. Used appropriately, life insurance is a valuable and affordable financial planning resource. Most CFP’s are Brokers. Fiduciary Advocates say that’s a Problem.